Sussex will celebrate the life of Matt Hobden at a ceremony before Sunday’s opening Specsavers County Championship home game against Essex at the 1st Central County Ground in Hove. The 22-year-old fast bowler’s death on January 2 cast a long shadow over Sussex’ pre-season preparations and Hobden will never be far from the thoughts of captain Luke Wright and his players throughout the season and beyond. Wright said: “I remember being in Melbourne at New Year when I got the news in a phone call from (former coach) Mark Robinson. I had just scored a hundred in the Big Bash and went from a feeling of elation to one of utter devastation when I heard the news about Hobbsy. “There’s no doubt it has affected all of the players in the first few months of 2016 and memories of Matt will never be too far from our thoughts this summer. We are desperate to do well this season and win a trophy and if we are fortunate enough to do so we will dedicate it to Matt’s memory. Sunday’s ceremony will see a tree planted in Matt’s memory at the Sea End of the ground, between the Club Shop and Reception area at the County Ground. The ceremony, which will be attended by members of Matthew’s family, will begin at 10.20am. Sussex hope as many supporters as possible can attend the event. Players and support staff from both teams will line-up on the pitch at 10.55am for a minute’s silence before the start of the game. Hobden, who came from Eastbourne, made his breakthrough in 2015 when he took 23 Championship wickets and his raw pace evoked memories of some of Sussex’ great fast bowlers of the past including John Snow. 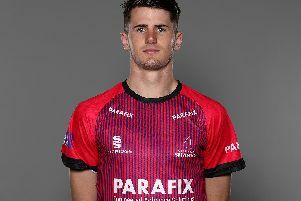 Wright and opening batsman Chris Nash, who missed the rain-affected Championship draw against Northamptonshire this week, hope to have recovered from injury to face one of their promotion rivals on Sunday.